Work begins on a new manifesto designed to win the hearts and minds of the northern people. Free trade links with Norway, The Shetlands and The Orkneys. The opportunity for travel to the new lands of Greenland and Newfoundland. ‘A strong North as befits a strong Northern people,’ were some of the promises. 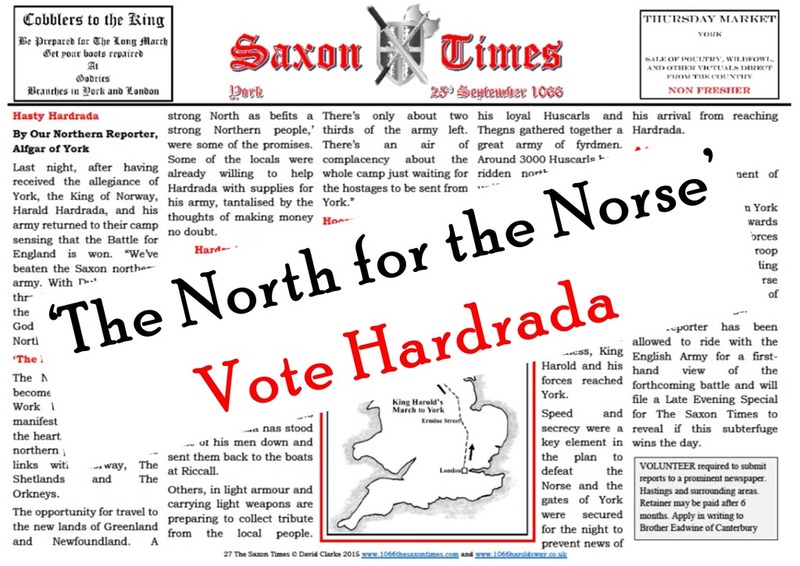 Some of the locals were already willing to help Hardrada with supplies for his army, tantalised by the thoughts of making money no doubt.